With females representing less than three per cent of registered surveyors in New South Wales (NSW)*, Bachelor of Surveying student, Elizabeth Evans, is helping to inspire more women to consider a career in surveying. As this year’s recipient of the NSW Surveyor General’s Women in Surveying Undergraduate Scholarship, Ms Evans will have the opportunity to attend key industry events, with the aim of establishing valuable professional networks and raising the profile of women studying and working in the industry. “The scholarship has provided me with the financial ability to attend seminars, conferences and meetings associated with surveying and women in engineering, so that I can learn of the changes happening in industry and get to know other women making their mark in engineering. “Having strong female leaders and mentors in engineering gives women an avenue to start the conversation without fear of judgement whilst encouraging an honest and empowering environment,” she said. Ms Evans met with the NSW Surveyor General, Narelle Underwood, who visited the University on Thursday 21 June for an Industry Advisory Committee Meeting. As the first Australian female to occupy the position in its 240-year history, Ms Underwood is using her unique opportunity to act as a role model and mentor for young female surveyors, in addition to her responsibilities of leading and regulating the land and mining surveying profession. With Women in Engineering Day taking place this Saturday 23 June, Ms Underwood said it was important to increase the gender diversity across all Science, Technology, Engineering and Mathematics (STEM) careers. “Our society is changing and STEM is not just the traditional field, laboratory or engineering roles anymore. It’s designing the next new life changing mobile app, or the way food is grown, processed and delivered. It’s developing better health care and delivering the transport and cities needed for our changing population. 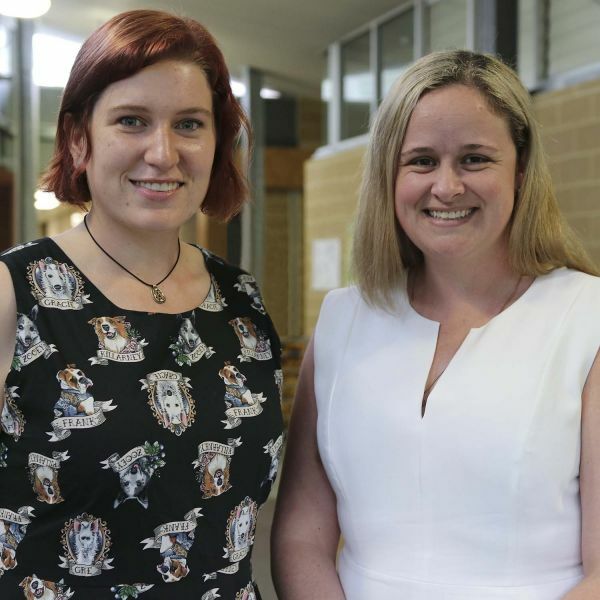 “A qualification in STEM prepares students for a career the world hasn’t even realised it needs yet,” Ms Underwood said. Ms Evans said choosing to pursue a career in surveying was the best decision she’s made. *Board of Surveying and Spatial Information (BOSSI).